Pot smoking has always been clouded with stereotypes–users were often considered druggies, hippies, or “stoners.” Now that the legal landscape surrounding marijuana use is shifting, many of these stereotypes are lifting. 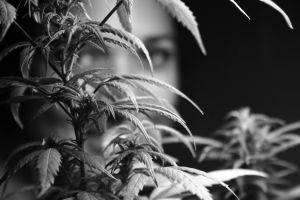 In addition to more users coming out from the shadows, those who may not have been interested in pot use may be more compelled, for example, if they have been prescribed marijuana for medical use. Since Colorado legalized the use of marijuana in January 2014 pot has become a billion dollar business. For marketers, investors, and others cashing in on the marijuana business, making marijuana mainstream is a priority. Attracting users from all walks of life also means ‘changing the face’ of marijuana. To attract less common users, people must be aware that marijuana goes beyond stoner culture. This means that they are both legitimate business operations and that pot use is more than just hitting a bong in a college dorm room. In Colorado, business owners are savvy, using advanced technology in growing operations and in the office. Where people used to worry about getting busted for smoking pot, many of these operations are now in full effect and stationed near police departments. For one grower in Colorado, setting up shop near a police station was part of a security measure. The warehouse where her plants are grown cost $3 million to set up. Inside there are 5,000 marijuana plants, only a fraction of the 50,000 plants in the entire company. According to the NPR report feature this grow operation, the company Is expected to reach $10 million in sales in 2014 alone. Higher security is necessary and so is strict adherence to local and state regulations. The plans must be tagged and entered into a tracking system. Even the “shake” from the plants that falls on the floor must be swept up, weighted, reported, and accounted for. Despite some of the burdens of these regulations, it is also important to make sure that the industry continues to grow and thrive. The state supports marijuana growing and distribution, but this also means that the industry leaders must cooperate with legislators, law enforcement officers and the Department of Public Health and Environment, to ensure that the system is safe and appropriately generates taxes and revenues. The industry has the potential to improve many aspects of society, including education, profits, and job creation. This means that it must be widespread, widely accepted, and the ‘face of pot’ must also take a more business-friendly appeal. As many growers and dispensary owners know, the federal government could intervene at any time and shut down the whole industry. The rapid changes in Colorado and quick expansion has made some industry experts nervous. There is a concern about overproduction and the eventual sale of marijuana on the black market. Marijuana could quickly move into the black market and out of state. If you are a marijuana dispensary owner or grower, you should know your rights and the law. Our Orange County marijuana attorneys are dedicated to raising awareness to protect the rights of individuals and entities in the marijuana business. We can assist with compliance issues and protect your rights in the event of a criminal investigation.